Major accomplishments: engineer and business leader of electrical innovation, one of the founders of three phase alternating current technology and early developer of high voltage direct current (HVDC). Oskar Von Miller was born in Munich in the Kingdom of Bavaria (Germany) in 1855. He was raised in a family of industrialists; his father occupied a high level position at the Royal Ore Foundry in Munich. His brother Baron Ferdinand von Miller became an ore caster and director of the Munich Academy of Fine Arts. Oskar decided to learn about the new field of electricity and build it into a business using his experience in the foundry business. He studied at the Technical University Munich (Technische Universität München). Miller noticed the success of the Exposition of Electricity in Paris in 1881 and wished to create a similar exposition in Munich. He created an exposition in 1882. Marcel Deprez - a Frenchman who created the DC distribution system for the Exposition in Paris helped Miller create the first long distance high voltage direct current transmission ever. They transmitted 1,500 watts at 2000 volts over 35 miles from Miesbach (the foothills of the Alps) to the Glaspalast in Munich. Oskar von Miller became the co-director of the German Edison Company in 1883. His company built Munich's first power station in 1884. In 1887 the company was renamed Allgemeine Elektricitats Gesellschaft or AEG. 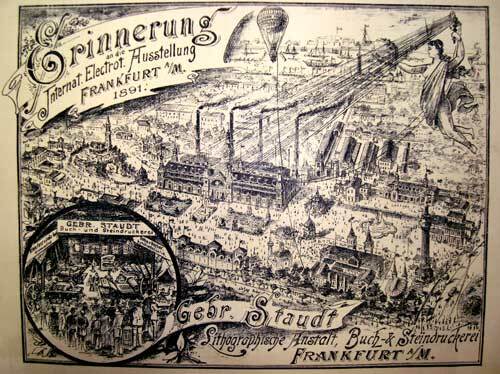 Miller joined the efforts in Frankfurt to create the Electrotechnial Exhibition of Frankfurt in 1891. He directed the efforts and worked with electrical engineer Mihail Dobrovolsky on the first major demonstration of three phase AC power in the world. (Dobrovolsky was the inventor of three phase electric power, he had created the first three phase generator in 1888.) The power system transmitted 20,000 volts of AC three phase current 109 miles from Lauffen to Frankfurt, Germany. This was the longest distance high voltage transmission to date. It operated with minimal losses at 75% efficiency. To learn more about this event click here. 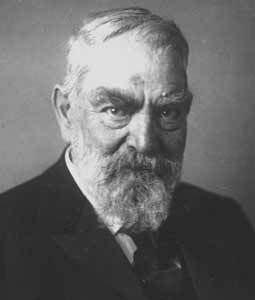 Oskar von Miller was the visionary behind a high quality national museum on science and technology called the Deutsches Museum. He used his high position and connections to gain financial and technical support in creating the museum. King Wilhelm II laid the cornerstone of the museum on Museum Island in Munich. The museum continues to operate more than 100 years later under full support of the German government. The Deutsches Museum has been compared to the Smithsonian due to its vast size and quality of exhibits. The Museum as many specimens of electrical history including the original 3 phase generator from Lauffen in 1891. 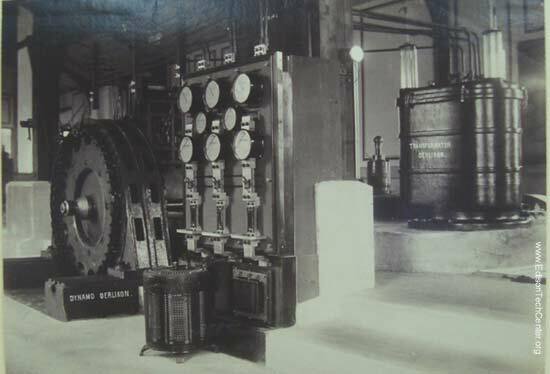 From 1918 Miller managed the largest pumped storage power station in the world for 6 years. He suffered a heart attack at his museum in 1934 and passed away shortly after. Publications/Patents: Oskar von Miller published many books about electric power generation and delivery which became popular in his time.